Giorgio Armani staffer in Harajuku sporting a vintage eclectic style with multi-print blazer, printed asymmetrical dress, metallic cat flats and a satchel bag. Japanese students showcasing colorful contrasting streetwear styles in Harajuku. 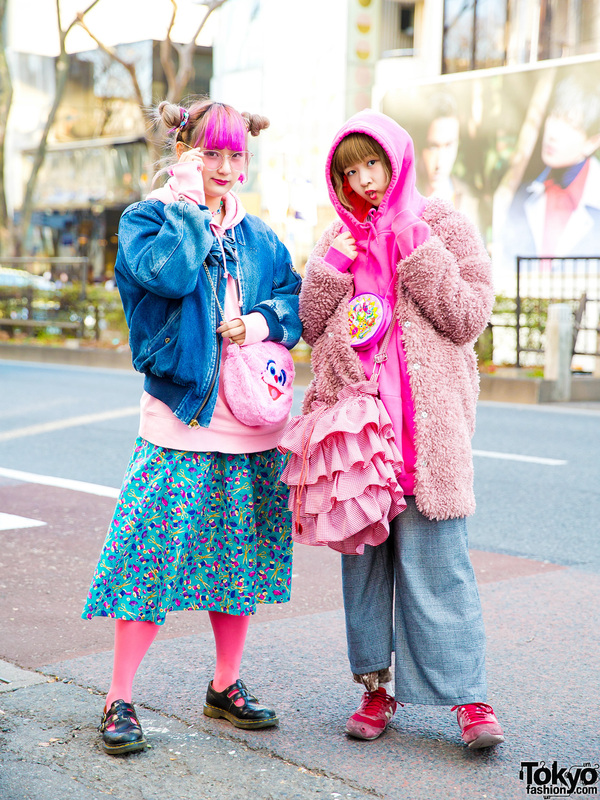 Harajuku girl trio in stylish street ensembles while out and about one fine day. Harajuku group showcasing colorful street fashion. 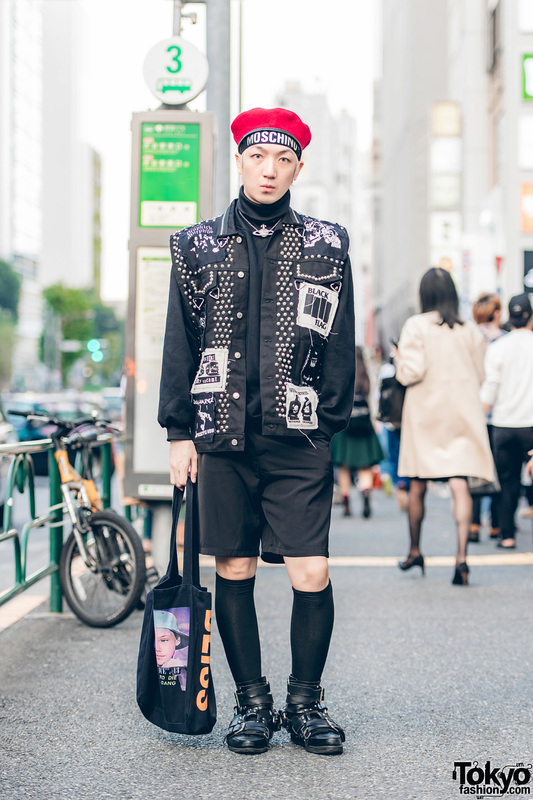 Japanese guy in red beret and edgy all-black street fashion while out and about in Harajuku.